To be an effective social networker/marketer setting up your profile is the first step, but it goes far beyond the setup. The saying from the Field of Dreams movie… “Build it and they will come” will not work in this instance. You must continually develop online relationships and share relevant information from your expertise. Like your website and blog, social networking is a constant work-in-progress. Don’t let your shoulders sag, engagement does not need to take you endless hours every day. Today I will focus on…. 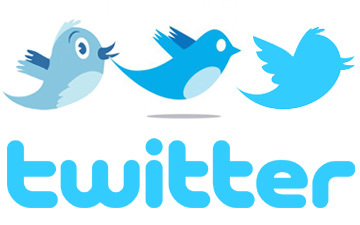 To be an effective member of the Twitter community you need to tweet on a consistent basis. Note tweets are limited to 140 characters including spaces and the URL you are directing the reader to. Your tweets can be just about anything. 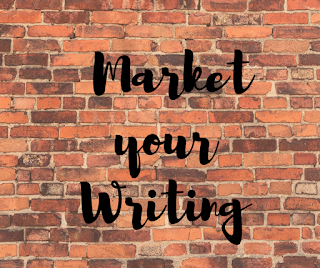 Such as, your latest book, your newsletter, book reviews, author interviews, and information you find interesting to the freelance writing career, etc. My rule of thumb is to tweet at least 4-5 times per day, Monday thru Friday. I give myself off the weekends for good behavior. Use www.tinyurl.com to shorten the length of the URL you are providing in your tweet, so you save valuable characters for your message. Don’t just tweet about yourself. Avoid the “it’s all about me attitude”, become a master communicator with tweeting a combination of your own tweets with those of colleagues. Take out ten to fifteen minutes per day and visit Twitter and retweet (RT) posts of interest for those you are following. You’ll be amazed how appreciative tweeters are for RT. It is a terrific way to broaden the contact base for all those participating. Scheduling Your Tweets Ahead of Time: Save valuable time and plan your tweets ahead of time (at least weekly). Create your tweets in Word and double check the character length by highlighting your tweet, clicking Review in the toolbar and to the right of Translate on the far left click the ABC/123 symbol. A pop-up screen will appear providing full statistics and make note of the Characters (with spaces) number. To set-up and schedule your tweets, I recommend www.dynamictweets.com. Once you register an account you will be able to schedule a one-time tweet or tweets you’d like to repeat throughout a specific timeframe. The template/site is simple to use. # - hashtag – by searching for a keyword with the # (hashtag) before it will pull you up a list of the latest tweets regarding the topic. This is a great way to get in specific conversations and tweeter parties. @ - symbol before username – by searching for a particular username the results provides their tweets and mentions by fellow tweeters. Direct Messages – by clicking on the “head” image the pull down menu will appear. Click on direct messages, here you will find a listing of all messages sent to you by fellow tweeters. Remember, tackle your social networking campaign with baby steps every day for each step will develop into a quantum leap. If you require further guidance or have additional questions, please free to contact me at donna@donnamcdine.com. As a PR Publicist I offer an array of services and FREE articles to help you FREE up your valuable writing time, visit www.authorprservices.com for details. Thank you for joining me today, it’s been a pleasure. Bio: I am an award-winning children's author, Honorable Mention in the 77th and two Honorable Mentions in the 78th Annual Writer’s Digest Writing Competitions, Literary Classics Silver Award & Seal of Approval Recipient Picture Book Early Reader, Global eBook Awards Finalist Children’s Picture Book Fiction, and Preditors & Editors Readers Poll 2010 Top Ten Children’s Books ~ The Golden Pathway. I have three more books under contract with Guardian Angel Publishing, Hockey Agony, Powder Monkey, and A Sandy Grave. I write, moms and am the Editor-in-Chief for Guardian Angel Kids, Publicist for the Working Writer’s Club, and owner of Author PR Services from my home in the historical hamlet Tappan, NY. Donna, thanks for the Twitter Tips, especially the one about checking other Tweets and retweeting. And, thanks for the link! Thank you, Donna. I'm not very good about consistent tweeting. Although I usually do tweet these posts! Great tips Donna. I'm sure I don't retweet as often as I should and it's a great way to also share good content with your readers. 4-5 tweets a day is a lot of tweeting, but including retweets in there as part of that tally certainly helps. Thanks for the great tips Donna. When you say tweet often, how often are you talking about? I haven't not much retweeting, I will consider that more often.